Do any of the following statements describe your position? • ‘I require a structured cabling specialist in the UK to install network points in our premises’. • ‘I represent an electrical contractor and I want to partner with a structured cabling specialist in the UK on a project’. • ‘I represent an M&E company and I am searching for structured cabling companies to find a specialist to partner with’. • ‘I represent an IT company and I am searching for structured cabling companies to identify a project partner ‘. No matter what your data cabling enquiry is you are in the right place, our experience ranges from pulling in a single data point for a classroom to planning, preparing and executing national roll-outs for major brands and updating the network infrastructure for hospitals. You can make the most of our expertise by allowing us to plan the most suitable cable runs for your premises and in a situation where you are unsure what kind of cabling is appropriate for your requirements we can even provide guidance and make a suitable recommendation. We offer a complete service, providing anything from a simple data point for a single PC, to installing cabling for a complex LAN or wireless network in multi-storey buildings. We develop a full understanding of your requirements before sending a no-obligatory quotation for a suitable service which meets your needs in full, this may involve arranging a site survey. We offer a professional installation service from our in-house team of engineers, any cabling installed by our engineering team is installed using top quality components, tested and certified to current TIA/EIA industry standards and guaranteed. 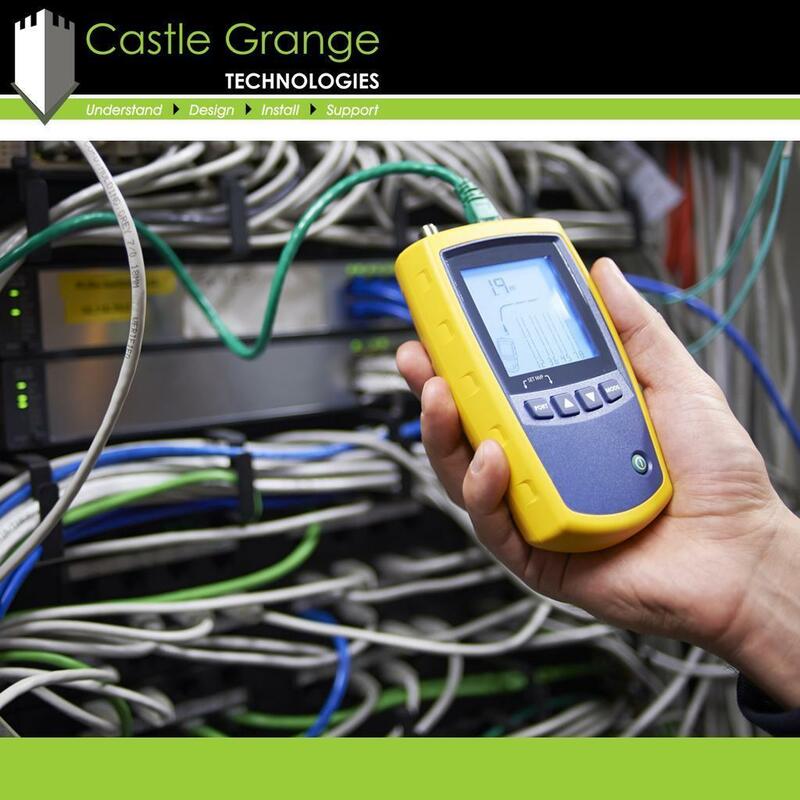 “Castle Grange Technologies has been found to carry out installation and testing work of an extremely high standard, and as such has been approved by Connectix Cabling Systems to install and certify Connectix Cabling Systems.” – Connectix Cabling Systems. 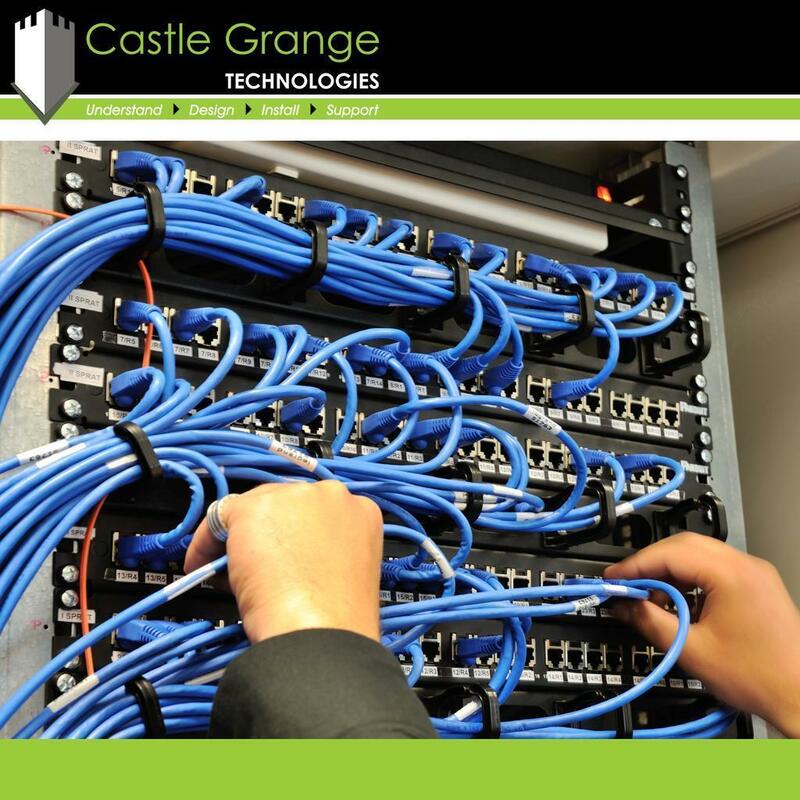 The structured cabling we supply is covered by a 25 year manufacturer’s warranty and a 1 year personal guarantee from Castle Grange Technologies. You can view our photographs and videos relating to Structured Cabling by using the tabs below.